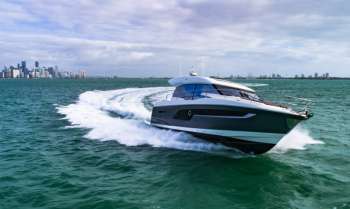 New appointed WellCraft dealer in South Florida! InterMarine is an award-winning boat dealer specializing in the sale and service of quality new boats and used boats of all shapes and sizes. 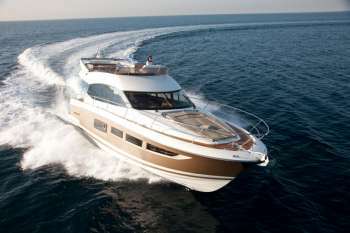 We are proudly appointed dealers for Prestige Yachts, Jeanneau Power Boats, Chaparral Boats, Four Winns Boats, and Bayliner Bowriders and Deckboats. We service all of South Florida and the Caribbean, along with catering to an international clientele. Our philosophy is simple: Our customers are the most important part of our business! InterMarine... big enough to perform, small enough to care. Search our database of available motor yachts, sport cruisers, center consoles, walk-arounds, deck boats, cuddy cabins, jet boats and more to find the best vessel for your boating lifestyle. Our professional team of brokers will help you find the yacht of your dreams or develop a sound strategy to sell your existing yacht fast and for top dollar while handling all the details to ensure a smooth transaction. Benefit from the most knowledgeable parts department with over a million dollar in inventory. Contact us to find what you need; our goal is to have you up and running and out on the water. From a seasonal tune-up to a complete overhaul, contact us to handle the maintenance and repair of your boat or your yacht.